Retro gaming is defined as the playing and collecting of older computer, console and arcade video games that are discontinued and often considered obsolete in our ever advancing society. To many of us, it has always been much more than just a hobby. 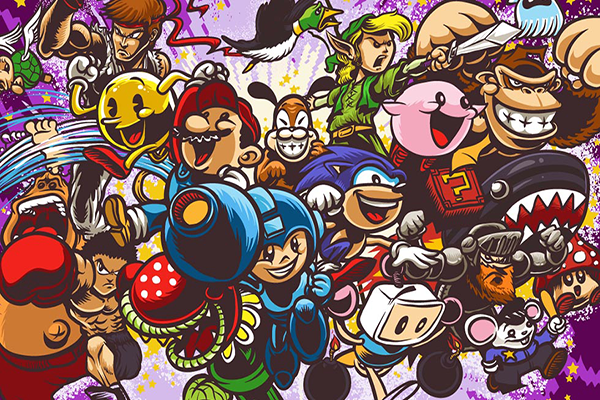 Many retro games are more than just ways to have fun; they hold sentimental value to us. It’s not about being stubborn and set in our ways against newer more intricate games and designs, but rather our appreciation of a simpler time that required less prep work and add on features and more of just good old fashioned gaming. It’s simpler to define what we consider retro gaming because it just requires us to look into our collection for the game cartridges. These removable enclosures carrying read-only data for us to load on our consoles are harder to come by now, so the act of hunting them down for our personal collections is a way that many retro gamers keep them relevant. It’s easy to define any old NES, Genesis and even Atari games as retro, but does that spot belong to these older generation games exclusively? Or can they be dethroned as the years go on by the newer more powerful games of old such as the Nintendo Gamecube, Playstation or original Xbox? What exactly will be defined as “retro” after 30 years? It’s very possible that by the time we have aged 30 or so years, our ideas of “retro” anything wil have drastically changed. We may consider boy bands, classic music and hip hop the soundtrack of yesteryear. But what will become of our games? Wanting to play something retro can simply be booting up the old Xbox one last time to experience Halo for the first time in decades or even dusting off the Gamecube to knock each other around in Super Smash Bros. Melee. The truth is that we hold onto that which we hold true to our heart from our earlier years. As an example, were the 90's really even that amazing or do we just fool ourselves into believing that because it was all we knew growing up? The first and probably most obvious scenario considers Generation Y sticking to our games growing up, which for my age group includes a time where we were old enough to fully appreciate the start of disc drive games and the late end of the ROM based games of the Nintendo 64. Will we simply ignore the previous generations in favor of our personal childhood memories? Or will we stick true to the roots if we dare call ourselves gamers? Along with time comes the inevitable “death” of our cartridges. It would be hard to deny that one day our cartridge based games will just refuse to work and the pins will physically wear out. The years of pulling on the games and more specifically the blowing into the carts will eventually lead to the deterioration of our favorite games. Will this further solidify the fact that as we get older, we will appreciate these games less simply because we cannot play them as they once were? While some of this may seem depressing, I like to think more on the positive side. As long as there are people around that fondly remember such classics as Super Mario Brothers, Earthworm Jim and even the horrible E.T. game on the Atari, these retro games will live on. This isn’t just because we breathe life into them (but seriously don’t blow into your carts) and allow them to flourish, but also because we have future generations to share these games with. This is how we keep them going; this is how we further stretch their limited lifespan. Otherwise, why did we collect so many of these games in the first place?